Our BodyGem and MedGem metabolic testing system kits are designed to allow you to build a profitable metabolism-based weight management program. We don’t post prices online, as it’s best to talk with us to determine which system fits your needs the best. 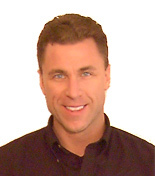 Call David directly at 720-431-1461 to get your questions answered. The BodyGem and MedGem are the same type of indirect calorimeter, except that the MedGem has gone through the FDA-approval process as a medical device. Since it is an FDA-approved indirect calorimetry device, it is designed for licensed clinicians. The BodyGem System Kit is the best long-term system, because it has the lowest per-use cost. It uses the same BodyGem device, but is programmed to complete only 40 measurements, which allows us to offer it at a lower price point. The BodyGem Starter Kit is a great entry level system if you have low volume or don’t want to spend the money to purchase the System Kit. BodyGem Starter Reorder Kits are available to give you everything you need for 40 more measurements, or you can upgrade to the BodyGem System Kit. Personal trainers typically charge between $50-70 for a RMR measurement, so the BodyGem Starter Kit allows you to generate between $2,000 – $2,800 in revenue. 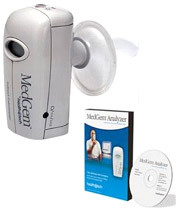 The MedGem System Kit is the best long-term system, because it has the lowest per-use cost. Call me directly at 720-431-1461 to get your questions answered. Net 30 terms for Purchase Orders are available. Account setup typically takes a few weeks. NOTE: The serial data cable and USB adaptor are not included in the system kits. Measurements can simply be run by pressing the button on top of the BodyGem. This avoids Windows compatibility issues and allows you to test without being connected to the computer. 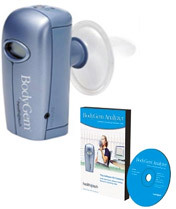 The BodyGem and MedGem Analyzer software is designed for Windows OS. To run the Analyzer software(or any Windows program) on a Mac, you would need the Boot Camp utility or VMware or Parallels software. You can get more information at http://www.apple.com/macosx/what-is/compatibility.html or contact your Apple dealer for more information. Increased success rates and reduced costs associated with weight management programs. Increased revenue with an RMR measurement that is a high value service to your patients/clients.